and what they say about an artist. Ariahindream has been telling me about hers, Forever, and how it came to life. The London-based songwriter chats about her influences and some albums that have made a big impact on her. 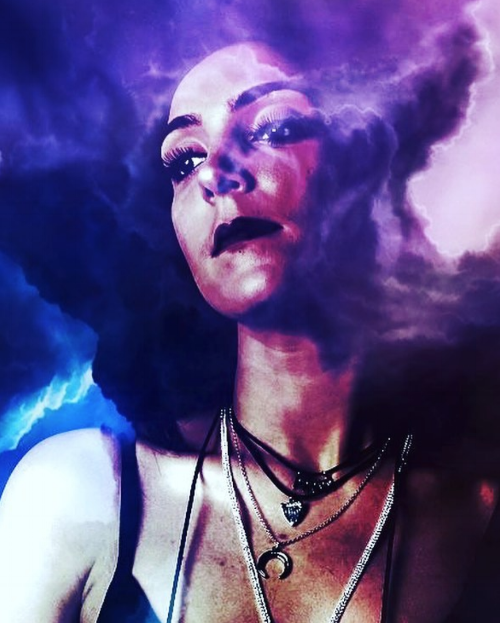 I was eager to know where she heads next and whether there are any live dates; what we can expect from her forthcoming E.P., inDream, and what advice she would offer musicians coming through – Ariah recommends a couple of artists we should spend more time around. Hi, Ariahindream. How are you? How has your week been? Hey. I’m good. My week’s been relatively chilled compared to the past few months: dinner at new restaurants, cuddles with my kitty; catch ups with the fam. It’s been really lovely. It’s so relieving to finally be releasing projects. Sure. I’m a London-based singer, songwriter and producer. 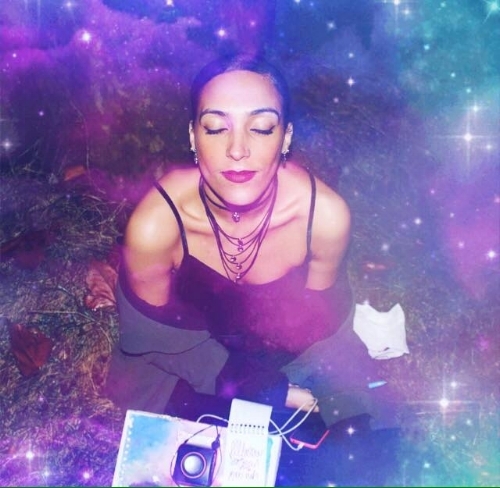 I sing, write and produce what I call ‘Indietronica’: Electronic music rooted in ‘alternative’ R&B with Experimental and Ambient influences. My work is often rooted in concept writing and, sometimes, takes shape in videos and photography I make - in addition to and partnered with the music. Can you talk about your single, Forever, and what the tale behind it is? Forever is a complicated number. As part of inDream, the upcoming E.P., it represents a single stage in a process of self-discovery that unfolds over each track. Forever is the track that deals with themes of self-exploration and analysis; introspectively questioning an isolated state of being and the ways in which that chosen outlook effects the experience of life. These questions develop and accumulate into a confession of fears - and end with a begrudging acceptance of sadness. I know you wrote, produced and recorded the song. Did you feel it was important to put your stamp on the song? I don’t think it’s necessarily about putting my stamp on the music…It’s just the way I work. I find writing, producing and recording my songs a necessity. While creating every aspect of my music is often gruelling and time-consuming, I know what I want and how I want it done. Much of my writing and composition begins as improvisation - building harmony by ear, rather than by theory. In that sense, my approach to making music is kind of unconventional and not always easy to communicate to more traditionally-orientated musicians. I find maintaining a solitary approach to writing helps to keep an individual nature about the songs. It is from the forthcoming E.P., inDream. What are the main themes you address throughout? The inDream concept originated from explorations of the meaning of my birth name. In Italian, it means ‘flowering ash tree. This led me to read into the ash tree and subsequent mythology surrounding it. I found there were interesting tales in Celtic mythology and African folklore exploring its significance - as a tree of life, femininity and healing. In some stories, it operated as a portal to other dimensions due to the specific nature of its three-part anatomy. This spiritual representation of the ash tree acted as the stages of development that each song on inDream represents. The opening numbers deal with roots: upbringings, influences; pains, sadness and isolation. The trunk, by way of the middle songs, deals with how these themes manifest into a physical experience. The branches, by way of the final two songs - Forever being one - deal with enlightenment, understanding but sadness still. You hail from East London. How important is the area and its people regarding your music and creativity? I do. East London is important to me. I can’t say the area inspires me so much; it’s changed a lot over the years. Still, it’ll always be home. I think I’m more inspired by life in London as a whole. I moved about a lot growing up so have had the pleasure of living across the North, East; South and West. In terms of my creativity, though, that often thrives alone, at home in the studio. I know you have studied music and must have brought a lot of that knowledge into your own music. Yes. I did choose to study popular music. I’m really glad I did. While I didn’t focus so much on the music theory side of things, learning about music from academic, psychological; philosophical and experiential standpoints has definitely influenced my approach to creating- for the better, I think. You must have grown up around eclectic artists. Have you always grown up around music and been obsessed by it? You know; I think growing up my musical tastes were actually pretty generic. In the best possible way, though. I do love R&B music, so listened to a lot of Whitney (Houston) and Mariah (Carey) - my mother played a lot of their music around the house. Through my teens, I got into music that was on the radio: Destiny’s Child, Alicia Keys; Aaliyah and P!nk (while she was on her R&B thing - I hear she didn’t like the music she made at that time. I hope I’m wrong. You Make Me Sick and Moulin Rouge still give me life!). It was only seven-eight years ago, while studying music, that my musical tastes completely diversified. I started growing interest in artists I found individual; songs and voices that made me feel. Amy Winehouse, Joni Mitchel; M.I.A., Sade; Selena and St. Vincent. Each of those artists, in all their diversities, has influenced my appreciation of music and performance. For the past five years, though, my playlists have been dedicated to my holy trinity of artistry: Prince, Kate Bush and Björk. Yes! I’ll be playing a set for Midi Music Company on Monday, 25th June at the New Cross Inn as part of the Mayor of London’s Sounds Like London campaign. I’m also set to perform on Saturday, 21st July for Bark Presents at The Gladstone Arms - where I’ll debut the brand new Ariahindream band line-up. Really excited for these show - with all the super-talented artists also playing on both nights. These are not events to be missed! For me, this year is all about getting out there: releasing my music and videos, gigging my music live; delving deeper into music licensing. Really, just sharing what I have and doing all I can to make sure people hear it. I try to be realistic in that it may take some time to garner the kind of recognition I’d ultimately like to gain. But, I believe in what I do, so I’m willing to work until I get there - and beyond! Hmm…there have been loads! The most significant: the moment I heard the completed mixes of inDream. It was such a full-circle-moment. From conception to completion, inDream took three years to make. Generally speaking, that’s a pretty long time for a six-track E.P. Finally hearing my ideas finalised on recordings gave me the biggest sense of freedom and fulfilment. I’m so proud of my work here and cannot wait to share it later in the year! It’s such an intelligent record. From the lo-fi production, to deeply political yet subtly-so songwriting; to the ever-changing nature of the tone and timbre her vocal performance, I love this album because every turn is so brilliantly unexpected. For an album with such diversity from track to track, I love how cohesively this holds together. This album gets me in the feels. Every single time I hear it. The movie version of The Beautiful Ones is one of my top-ten favourite songs and live performances of all time. The guitar solos and instrumental passages in Purple Rain and Computer Blue are out of this world. Darling Nikki is a secret pleasure. When Doves Cry is timeless. For me, Prince really was as complete and unique an artist as I’ve ever seen. From producing every element of his music to mastering every instrument he touched; to supporting the careers of up and coming artists…his legacy is so inspiring. I’ll be honest with you: I’ve been so involved with my work at the moment that I haven’t looked outward in a while. I will say that I’m really loving the slightly more experimental tone music in the U.K. is taking at the moment. I love the come-up of Grime; I really enjoyed Stormzy’s album. 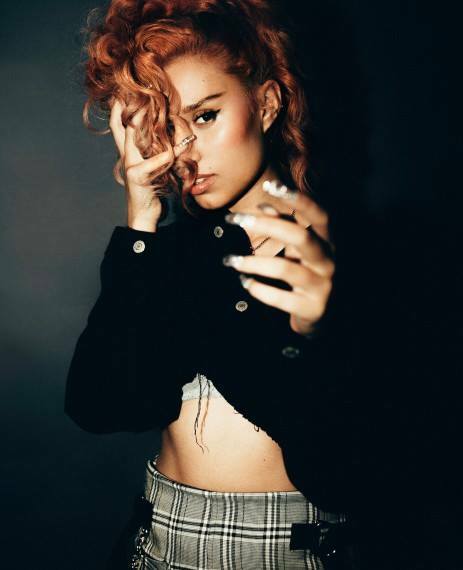 RAYE is another artist I find interesting. From what I’ve seen of her songwriting, she is so talented. To be honest with you, I don’t currently get much time away from music. Making my work is usually completely time-consuming. There have been times I’ve spent twelve-hour consecutive days working on thirty seconds of a track (check out the song Whosoever, when inDream comes out, to hear the outcome of that particular instance!). When I’m not working, I love to travel. Before I dedicated my life and funds to music, I travelled a minimum of twice a year. I have a map on the wall in my bedroom with a star system that shows where I’ve been and where I’d like to go. My favourite trip so far is the two weeks I spent touring the South of France in 2016; travelling in St Tropez, Cannes and Nice. It was so refreshing. I’d love to head out on another solitary retreat again soon. ...On the completely opposite hand, Kate Bush’s Get Out of My House for hard-hitting, lo-fi galore. The way she stretches her voice on this one - the combat drums and the intelligent lyric-writing. By the end of the song, she’s turned into a donkey. Just genius.